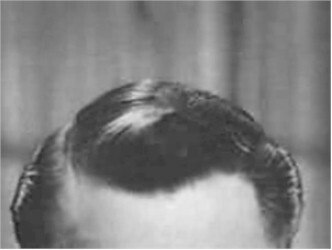 Brylcreem, a little dab'll do ya. Brylcreem, you look so debonair. They love to get their fingers in your hair. Brylcreem, you'll look so debonair. You'll love the natural look it gives your hair. That's the version I remember, or close to it, anyway. Personally, I used Vitalis, because, well, that's what my Dad used. Still using it, but finding it harder to find.